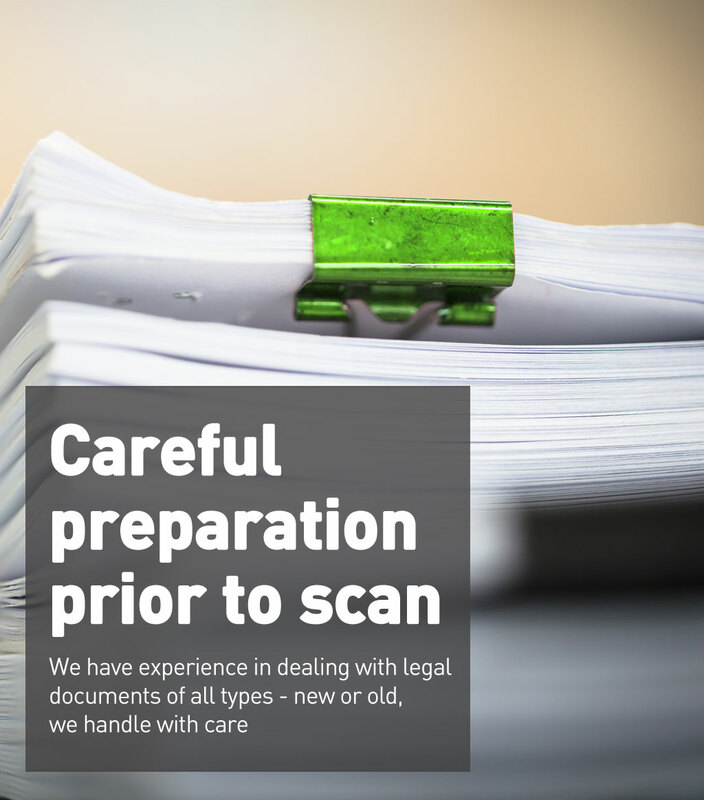 How does document preparation with ScanLegal work? Efficient document preparation is the next stage of your ScanLegal process. Once your documents have reached our processing facility, our specialist document preparation team take over. Preparing your documents for scanning, our team will ensure all papers are present and correct and absolutely nothing gets missed. They will even remove any staples or binders before scanning, leaving you one less job to think about prior to us collecting your documents. What’s more, once your documents have been collected, prepared and scanned by our DBS checked, data compliant team, we will destroy them for you and produce a certificate of destruction for your records. Detailed, precise document scan preparation – start your ScanLegal journey today.